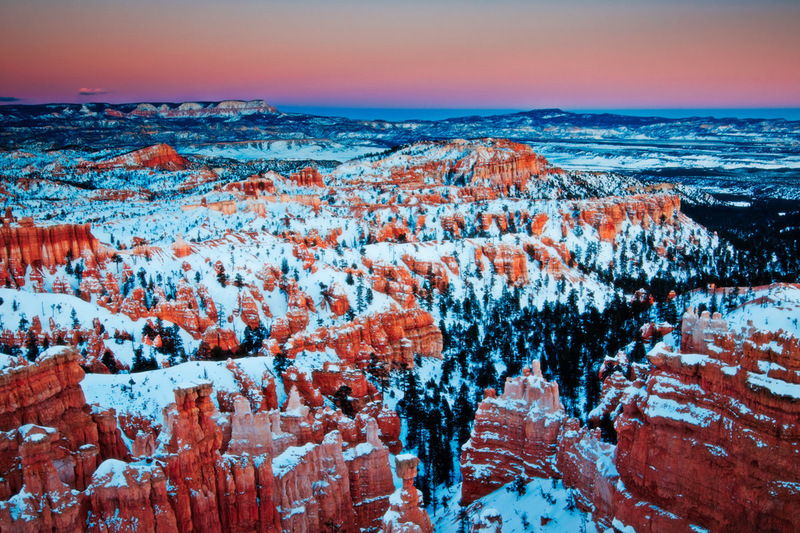 Sunset Glow of a Hoodoo Nation | Irene Abdou Photography, LLC - Travel. Lifestyle. Documentary. NGOs, Development & Public Health. As viewed from Sunset Point, the northern section of Bryce Canyon National Park boasts the largest concentration of hoodoos in the world. Thin, protruding spires of rock, hoodoos have been formed over thousands of years by water, wind, ice, and gravity.